Entrepreneurs and corrupt officials across Africa have used shell companies to hide profits from the sale of natural resources and the bribes paid to gain access to them, according to records leaked from a Panamanian law firm. Owners of the hidden companies include, from Nigeria alone, three oil ministers, several senior employees of the national oil company and two former state governors who were convicted of laundering ill-gotten money from the oil industry, new reports about Africa based on the Panama Papers show. The owners of diamond mines in Sierra Leone and safari companies in Kenya and Zimbabwe also created shell companies. Some of the assets cycled through the shell companies were used to buy yachts, private jets, Manhattan penthouses and luxury homes in Beverly Hills, Calif., the law firm documents show. Articles posted on Monday by the International Consortium of Investigative Journalists, and reports being published this week by news media organizations in 17 African countries, underscore the critical role that secret shell companies can play in facilitating tax evasion, bribery and other crimes. In Africa, offshore finance often underlies the exploitation of mineral wealth, with the benefits bypassing the public and going largely to wealthy executives and the government officials they pay off. 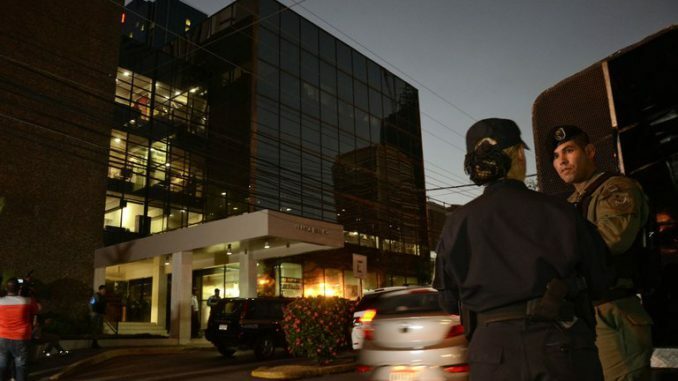 The 11.5 million documents taken from the Panamanian law firm, Mossack Fonseca, by a source who has not been identified have been the subject of news coverage around the world since April, shedding new light on the murky world of offshore finance. The Panama Papers project, organized by the international journalists’ consortium, has involved more than 400 reporters around the world and has set off criminal investigations in many countries. Mossack Fonseca has said it should not be blamed for wrongdoing by its customers. “We merely help incorporate companies, and before we agree to work with a client in any way, we conduct a thorough due-diligence process,” the firm said in a statement. The statement noted that the firm had not been charged with criminal wrongdoing in nearly 40 years of operation. But the journalists found that Mossack Fonseca had sometimes missed or ignored evidence of criminal investigations or charges against its clients. Though the records show that the law firm did scrutinize many of those who sought its services, its reviews were often belated or incomplete, according to the articles’ main author, Will Fitzgibbon, who works at the consortium’s office in Washington. Several major figures examined in the new Panama Papers reports have previously been accused of wrongdoing, and some are under criminal investigation or have been charged. But the details of their use of shell companies had not previously been disclosed. The consortium identified 37 companies created by the law firm that had been named in court actions or government investigations involving natural resources in Africa. All told, Mossack Fonseca’s files revealed offshore companies that were established to own or do business with oil, natural gas and mining operations in 44 of Africa’s 54 countries. In one major criminal case, Farid Bedjaoui, a nephew of a former Algerian foreign minister, has been accused by Italian prosecutors of arranging $275 million in bribes to help Saipem, an Italian oil and gas services company, win pipeline contracts in Algeria worth $10 billion. Mr. Bedjaoui, called “Mr. Three Percent” in news media reports for his purported share of the payoffs, has denied the charges. 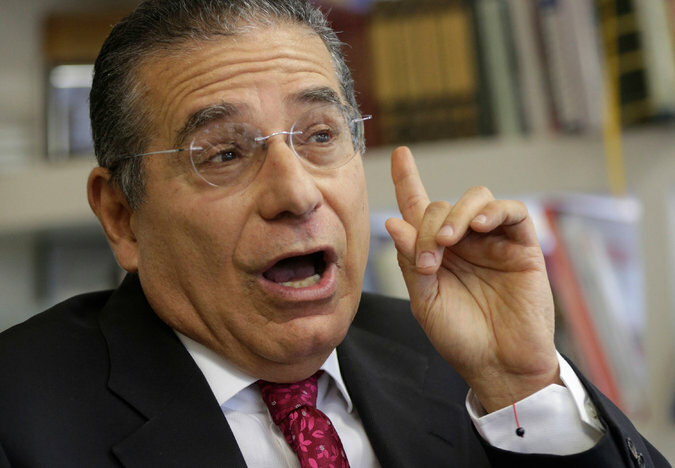 The journalists’ consortium found that Mossack Fonseca had created 12 of the 17 shell companies linked to Mr. Bedjaoui that Italian prosecutors are investigating as possible conduits for bribes from 2007 to 2010. One of them, Collingdale Consultants Inc., was used to divert as much as $15 million to associates and the family of Chakib Khelil, Algeria’s energy minister from 1999 to 2010, according to the charges. Mr. Bedjaoui, who has Algerian, French and Canadian citizenship, is accused of spinning a complex web to hide his money, with 16 bank accounts in Algeria, Dubai, Hong Kong, Lebanon, London, Singapore and Switzerland. His assets have been seized in Canada and France, where the police reportedly took a 140-foot yacht and paintings by Warhol, Miró and Dalí. United States officials are examining three New York properties bought by Mr. Bedjaoui, including a $28.5 million Fifth Avenue condominium, records show. Though the investigation of Mr. Bedjaoui first made headlines in February 2013, internal emails at Mossack Fonseca suggest that the law firm did not notice the trouble until seven months later, while conducting an internet search on another client. Pressed by officials in the British Virgin Islands, where most of the shell companies were registered, Mossack Fonseca said it was unable to provide contact details for employees at the law firm who had served as nominal directors for some of the companies under investigation. The law firm’s managing director in the British Virgin Islands wrote in an internal email that not having “the basic information on employees is totally embarrassing,” and might result in a fine. While Mossack Fonseca reported Mr. Bedjaoui’s activities to the authorities in the British Virgin Islands in 2013, the law firm continued working with one of his companies, Rayan Asset Management, until at least November 2015. Kola Aluko, an oil and aviation mogul and one of four defendants accused of helping to cheat the Nigerian government out of $1.8 billion in proceeds from oil sales, was another jet-setting user of Mossack Fonseca’s services who was examined by the consortium. The New York Times reported last year that Mr. Aluko had used shell companies to buy two Beverly Hills mansions for $39 million and two others in Santa Barbara, Calif., for $33 million. In May, shortly after one of the Beverly Hills homes was sold for $21 million, a Nigerian court froze Mr. Aluko’s assets, including a yacht once rented by Beyoncé and Jay Z, two Manhattan penthouses, 132 houses and apartments in Nigeria, $67 million in bank accounts, 58 cars and three airplanes. “As a private citizen, I organize my business and family matters to maximize convenience, as well as operational and administrative efficiency,” he said in a statement. In another case, the consortium found 131 companies set up by Mossack Fonseca for the Israeli mining magnate Benjamin Steinmetz and his holding company. (The holding company, BSG Resources, told the journalists’ consortium that it had “no familiarity” with many of the companies.) One company, Koidu Limited, mines diamonds in Sierra Leone and is the target of protests and complaints from local residents and environmental advocates. More surprising, perhaps, is the use of shell companies by safari operators in several African countries — at least 30 offshore companies set up by Mossack Fonseca, the consortium found. As in other African ventures, the offshore operations make it possible to conceal money earned in developing countries but moved elsewhere from the tax authorities or the public.